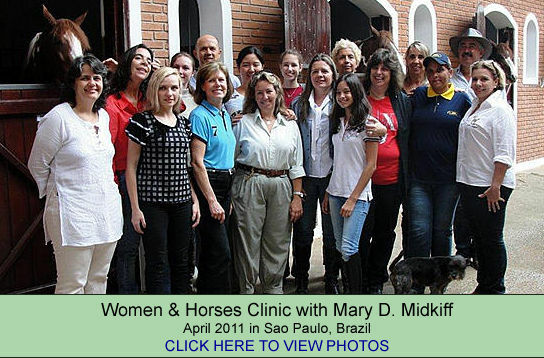 Midkiff will provide her book "Fitness, Performance and the Female Equestrian" and other W&H products for sale at the clinic. Midkiff will also provide handouts and camera-ready promotional materials and logos. * All participants riding under Midkiff's supervision must sign a liability waiver which will be provided. Safety helmets and proper footwear are strongly recommended.